Alexis: Hi Tami. Welcome to Happily Ever After Thoughts. It’s great to have you here. My first question is, why historical romance? What about the past inspires you? I understand you have published a Viking series. Why did you pick Vikings? accounts about their nature, but upon doing research, I learned that, although many did earn their 'dark' reputation, not all Norse were out pillaging and such. I wanted to give a voice to those past Norsemen who basically just tried to live their lives the best they could. Alexis: Any you went from tough Norseman to strong Highlanders. I'm sensing a theme here :-) Can you tell our readers what Innocent Deception is about? Tami: It's about a girl, Ceana Sinclair, who, due to her upbringing, has no self-confidence or self-worth, yet she has a heart of gold despite life's crudities. My hero, Ethan Royal Anderson, although a much feared and respected laird, is a man who also struggles with self-doubt and insecurity. Circumstances force these two to marry, each has secrets, and there are plenty of misunderstandings throughout the story. Innocent Deception is a touching journey with both Ceana and Ethan growing, not only in how they view themselves, but in trusting and loving one another. Alexis: Sounds very romantic. Where did you get the idea for this story? Tami: I tend to write in favor of the misunderstood. Ethan, my hero, is a Scottish laird who has a speech impediment. Imagine how difficult it would be to command respect when almost each word you speak is accompanied by a stutter. I did imagine that very thing, and, before I knew it, Innocent Deception was born. Alexis: What are your favorite character traits of Ceana and Ethan? Tami: For Ceana, I would have to say it is her terrified courage. She has a lifetime of abuse to contend with and since marrying Ethan, she is treated with respect and caring for the first time. 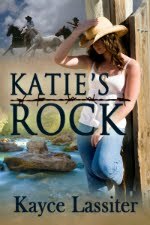 Yet, she is deceiving him, and her guilt and internal sense of right and wrong torment her each time he is kind to her. Ethan is a man who, although he is ashamed of his inability to speak clearly, forges ahead and builds a life for himself and those under his care. He lets nothing stop him from protecting his clan, and although he is devastated and angry when he learns of his new wife's deception, he struggles to understand why she did so. His forgiveness and trust, however, are much more difficult to achieve. Alexis: These two sound like they have a lot of hurdles to get over before they can find their happily ever after. What can we expect next from you? Do you have any new releases coming or a work in progress? Tami: I am working on a contemporary right now, called I'd Rather Be Rich! And I am also working with a fellow Desert Breeze author, Lynette Endicott, on a romantic suspense entitled Time After Time, based on an interesting concept of ancestral memories. (This concept came from a thread from our own CHRW loop a while back) Neither work in progress has been contracted yet. In between these projects, I am trying to turn Under A Viking Moon into a screenplay. It would be so cool to see my very first published book become a movie. Tami: Thank you for having me, I am thrilled to be your guest. 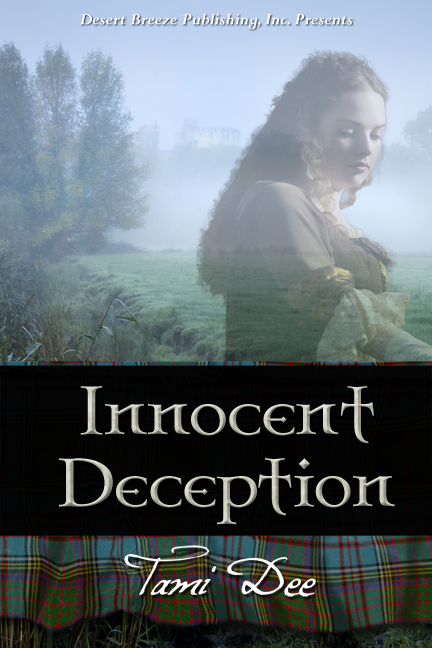 Alexis: For a chance to win Tami’s Innocent Deception be sure to leave a comment for her. Winner will be announced on Wednesday. Check the side column for your name. Alexis: Check out this great excerpt from Innocent Deception. Ethan took the stairs two at a time. Reaching the landing he nodded to the men standing guard at Sorsha and Ceana's doors. As he moved past Sorsha's door, it opened a crack. She peeked out, her large eyes worried. "Do ye have a moment for me, laird?" He glanced impatiently at Ceana's door, his door even though he had spent the past month sleeping with his men in the great hall. Now that he knew what he wished to say, he had nay desire to be sidetracked from it. Yet Sorsha rarely asked to have speech with him, the least he could do was spare her a moment of his time. He considered simply stepping into her chamber, then, with a quick glance to the several guards pretending not to notice what was about, he suggested instead. "Would ye like to accompany me into the laird's chamber?" She nodded her head and stepped out of her chamber. Grasping her wrap with both hands she secured it more firmly about her and followed him back down the stairs. The small chamber that served as laird chamber was through a door at the back of the great hall. He guided her through the crowded space with a hand on her elbow, pushing open the large door he ushered her inside. Her glance took in the smallish space and he nodded for her to sit in one of the two tall chairs flanking the hearth. Before sitting himself, he stoked the dying fire back to life, wondering all the while what she wanted to say to him. Deciding he would never ken until he sat himself and asked her, he took his seat. "W-what is it, lass?" She met his eyes, her own wide and unblinking. Again it struck him how very much alike she and Ceana were, yet how very different they were due to their upbringing. Sorsha was clearly showing him respect, yet the inherent confidence she had still shown through. He wondered if Ceana would ever ken the like. "'Tis about Ceana," she said at last. "I ken ye have heard the tale from Diarmad and yer men, but I think ye should hear it from me as well." He frowned at her, not following her reasoning. "What tale do ye speak of?" He snapped his lips shut, hating the stutter. She clasped her hands in her lap. "The reason Ceana felt she had to masquerade as me, Laird, and married ye." His jaw firmed and he strove for calm. He had just made up his mind how he was going to handle his wee wife, and he did not want Sorsha saying something to make him rethink his stand. He leaned forward, resting his forearms on his knees. "Lass, I don't see w-what the retelling will accomplish. I do understand w-why she deceived me." His heart raced, and he swiped clammy hands down his thighs. He wanted this matter behind him. He did not want to have to hear the retelling again. His cousin had told the tale from beginning to end, more times than he could count, yet the set of her chin assured him there was not he could do to stop her from having her say. Flames from the hearth reflected off blue eyes now filled with tears. "I think it does matter, laird," she said, her hands twisting together. "If I had not been so cruel to her, she would have never been in the situation where she, or yer men, would have had to deceive ye." She swiped a tear from her cheek. "I was raised to hate her, never knowing yet always suspecting she was more to me than a maid. I was spoiled and demanding for all my life. When yer men came to collect us, I made the short journey as miserable as I could for all of them, especially Ceana." She hesitated, and Ethan could see her words cost her. She sucked in a deep breath and met his eyes. "Ye see, laird, I was frightened to marry ye. I knew my father held yer brother as hostage, and although I did not ken the exact details of the ransom ye were to pay, I knew marrying me was a part of it. It would have been frightening enough to ken I was being given to--" She swallowed, and dropped her gaze to her clasped hands. "To the Silent Scourge of Scotland, but to ken this same man was being forced to marry me also?" She raised pleading eyes to him and his heart went out to her. Fear was one thing he understood only too well, and he was a grown man. How much more so for a maid used as a pawn by her father? She splayed her hands in front of her. "I would have done anything to delay meeting ye," she admitted. "I insisted we stop for the night, even though I knew we were so close to yer gates. I dragged Ceana to the river, and I took my temper and fear out on her. I felt if I could cause her to be more afraid than I was, then I could handle what was coming." She shook her head, a helpless movement. The sound of his blood roared through his ears all but blocking her soft words. It was all he could do not to reach out and shake her for harming his wife. For the first time, he had a true sense of how Diarmad and his men must have felt watching the behavior he had heard so much about. She glanced to his face and blanched. Clearing her throat she continued with obvious difficulty. "I pushed her into the river," she whispered. "As she struggled to stand, I went to kick her back into the water, when Diarmad called out a warning to her, I turned towards him, and my foot got caught on my skirts and I tripped. All I remember is falling atop of her, and a blinding pain at my temple." Nay longer able to remain seated he stood. "Why?" She flinched as if he had struck her and what little color she had had in her cheeks drained out. "I told ye, I was--"
He cut her short with a slash of his hand and dropped back to his seat, his legs suddenly too weak to support him. "Nay," he bit out "I understand w-why ye t-treated h-her like ye did. What I want to k-ken is w-why ye are compelled to t-tell me all this, ye must realize h-how furious yer w-words are making me!" She sucked in a breath and met his eyes. "I deserve yer anger, and the anger of Diarmad and the rest. The reason I am telling ye all this is so ye will understand what motivated Ceana and yer men to deceive ye!" She stood abruptly and paced. In a flurry of skirts she swung to him. "Don't ye understand?" she cried. "If Ceana had not pretended to be me, ye would have had nay choice but to send her home. The Sinclair would have slain her before she could offer any explanation as to what had happened to me! Then he would have slain yer wee brother." She resumed her pacing and Ethan wanted to force her to sit so he could prowl the room instead. She met his eyes from where she stood. "In the beginning, before she came to ken ye, she had heard the same stories about ye as I had. She believed by marring ye, with ye thinking it was me, yer brother would be returned to ye unharmed. Yet she was terrified should ye find out the truth that yer true intended bride had perished by tripping atop of her, ye would slay her as surely as her own clan would have. Either way, laird, she believed her life was forfeit and all because of the horrible way I treated her all my life and my cruelty that evening at the River Dee." She sank into her chair at last. "Yer men care about ye, laird. And they knew that I--" Now her cheeks bloomed with color. "They knew I would not have been a good wife for ye. They only wanted what was best for ye, and ye should forgive them their betrayal," she whispered. "As ye should forgive Ceana." Her voice was so soft now he had to strain to hear her. "She deserves another chance with ye, laird, a chance to be happy and to make ye happy. If ye will only give it to her?" Sorsha had been right. It had made a difference hearing the tale from her own lips. 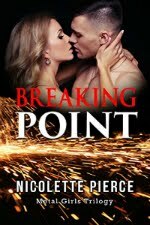 She had everything to lose by telling him the truth, yet she had done so willingly. He had already decided to try and make his marriage work, but Sorsha's words smoothed away the last bits of hurt from his heart. Oh, it would take time to truly trust Ceana, but he would give her that time. Tami, your upcoming WIPs sound very intriguing. I really enjoyed reading Innocent Deception. I think it's a great story. Wonderful excerpt, it really captures the essence of the conflict in the novel. Good luck with making Under A Viking Moon into a screenplay! May you have many sales, friend. 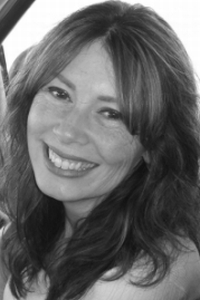 Hi Tami, congrats on Innocent Deception, sounds intriguing! History facinates me as well, and I like to imagine times/people gone by. I am also interested in reading your book Viking Moon. Norse history is a recently developed interest. I often wonder about places and who lived there and what they left behind. If I find snippets from their lives I'm even more curious. Very nice interview and I love that you introduce "imperfect" characters. That's refreshing and needed in this world of "perfection" that rarely exists in humanity. Good luck with your career and the screenplay. I love your story concept. Being Nordic on my Dad's side of the family, I love hearing positive stories regarding the vikings. Best of luck with lots and lots of sales, Tami. I love the cover and the risk you take by introducing readers to an unusual leading man...Good luck with your projects! Thanks so much, Paisley. If you ever have a chance to read my Viking series, I hope you enjoy them. :-) It is very cool that you are Nordic!!! Loved the fact that you have a hero with a speech impediment. Sometimes our H/H can be too perfect. Really liked the excerpt. I look forward to reading your work. Good luck with sales. Great interview, ladies! Tami, a screenplay? How wonderful! Good luck with that! And I can't WAIT to read Innocent Deception! Congratulations on it! OK - I couldn't wait. I downloaded Innocent Deception. Why wait?! :) I know I'm going to love it. I do that a lot, Paisley. Then again I can't win the free book, so I don't have to wait any way :-) I just love physically imperfect heroes .